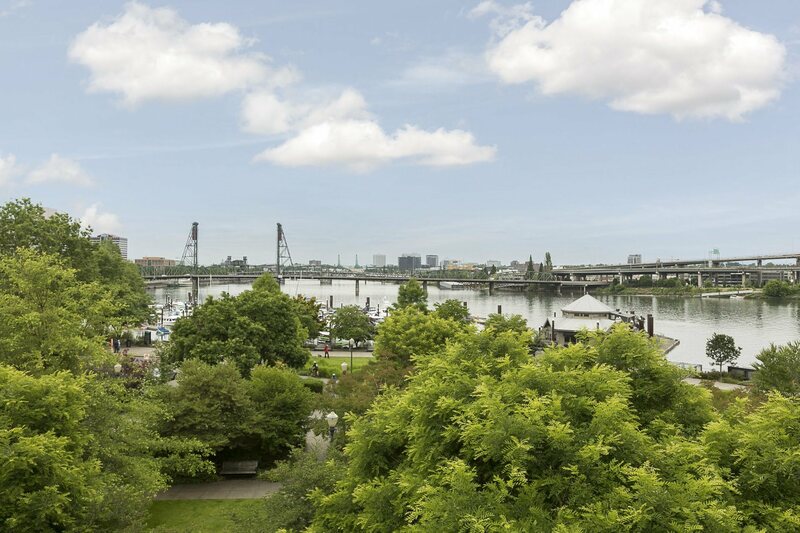 Premium 3 bedroom townhouse at The Strand with oversized rooftop patio featuring 180 degree views overlooking Downtown Portland, bridges, and Riverplace marina! Located in a private setting along Waterfront Park, this home is urban living at its best. Elegant & stylish finishes throughout include hardwood floors, gourmet kitchen, stone fireplace, granite & marble countertops. Includes rare 3 deeded parking spaces.